A former Evanston Township High School security staff member was charged Tuesday with sexually assaulting a 17-year-old female student in November 2018. Michael Haywood, 33, turned himself in to Evanston police and was charged with criminal sexual assault by a person of authority, a felony. Evanston Police Cmdr. Ryan Glew said in a news release that the Nov. 23 incident occurred in the 1800 block of Dodge Avenue, not on ETHS property or during school hours. Haywood is no longer employed at ETHS, Glew told The Daily. 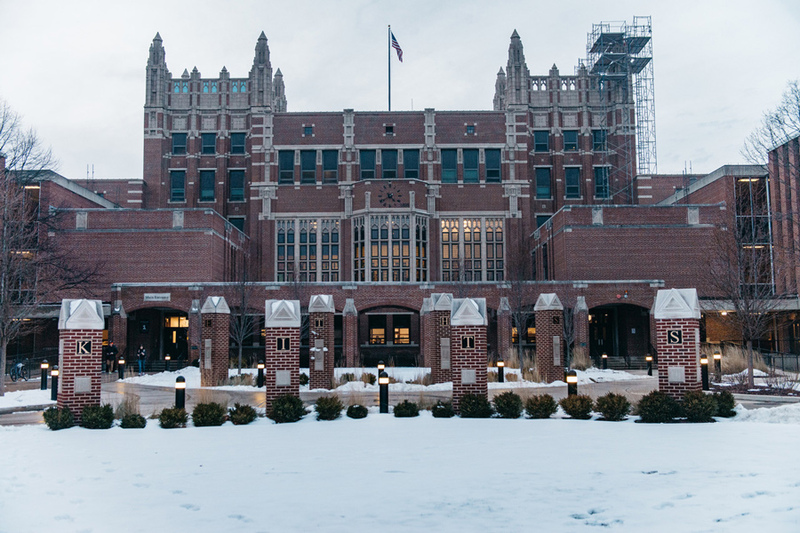 ETHS staff originally reported the incident in January after receiving an allegation that a staff member had an improper relationship with a student. Glew said EPD investigated the allegation and attempted to contact and interview Haywood, but he instead turned himself in with his attorney and did not make a statement. ETHS officials were made aware of the allegation after another student reported it, Glew said. The Cook County State’s Attorney’s Office approved charges for criminal sexual assault Tuesday. Haywood will appear in bond court on Wednesday at the Skokie Courthouse. ETHS officials were not immediately available for comment Tuesday evening.